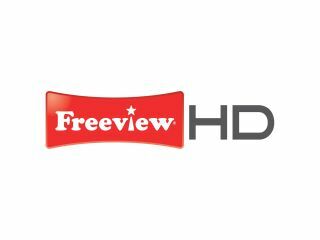 The technical launch of Freeview HD has raised what could be a major problem in the coming months, with retailers labelling some boxes as 'HD' despite the fact that they will not be compatible with the new service. Genuine Freeview HD boxes are not likely to become available until next year, but the public could be lured in by the labelling of some retailers, who are using the phrases HD and Freeview together. Some of these boxes have upscalers and an HDMI port, some are compatible with the TNT HD broadcast used in France but neither will be any good for the Freeview HD signal. For this, customers should be on the lookout for boxes and televisions that are DVB-T2 compatible – which is the broadcast format that Freeview HD uses. In truth, the best bet may be to look out for the Freeview HD branding, which can be seen on this story – with products that conform likely to be properly branded when they arrive early next year. But in the meantime – if a receiver uses the words Freevew and HD then be very, very wary – it's almost certainly not going to be able to get you Freeview HD. As WotSat editor Alex Lane says: "As Freeview made clear on Wednesday, the short supply of components for the new DVB-T2 transmission system means no receivers will go on sale until January. "Eagle-eyed Wotsat readers soon noticed a few 'Freeview HD' products on sale already. ""These are not compatible with Freeview HD - at best they're designed for the French TNT HD service, which uses a different HD broadcast format; at worst they've just got an HDMI socket and aren't HD in any way. "The bottom line is that Freeview HD receivers need to have DVB-T2 - if it isn't mentioned then the product is bogus." TechRadar has contacted one retailer which advertises a box as 'SIGMATEK DVB-500 HD Freeview Receiver' which is not Freeview HD compatible and asked if there are plans to clarify the messaging.